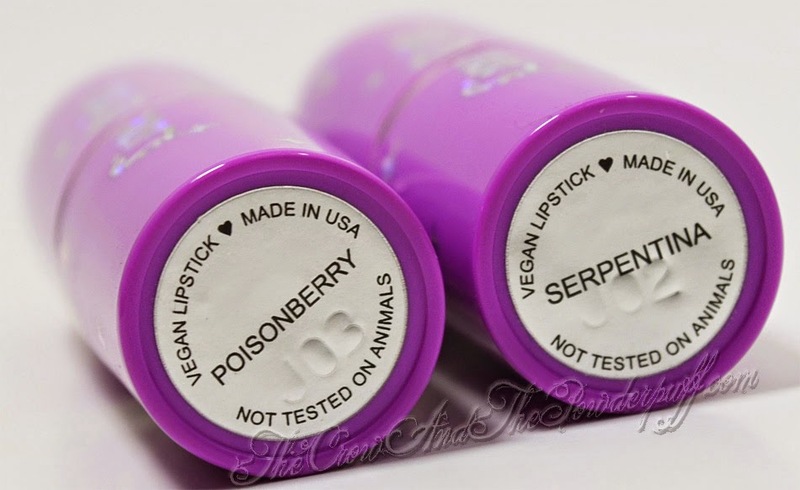 This review is on Lime Crime Lipstick in the shade Poisonberry, I purchased this when it first came out in the Alchemy Collection, the collection is no longer available to purchase but you can still purchase Poisonberry separately. 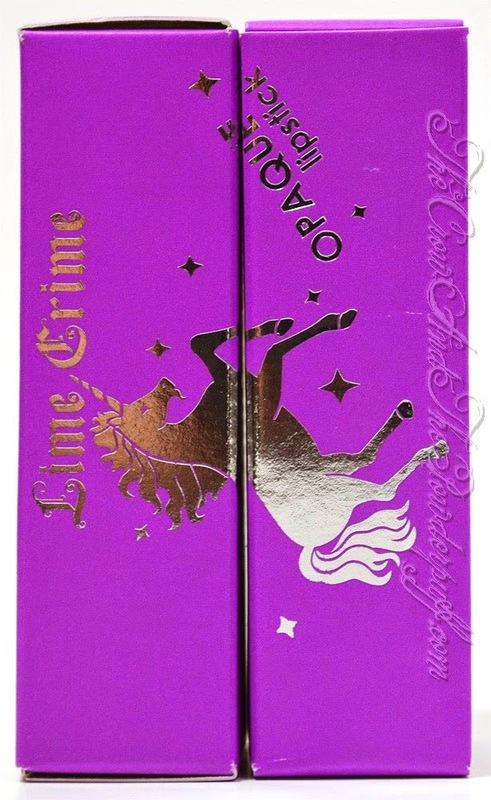 I will also have a review of a few more Lime Crime Lipsticks coming up in the shades Babette, and Geradium as well as some Velvetines. Deliciously dangerous berry-purple with a violet glow. Same intense coverage, new lustruous sheen! 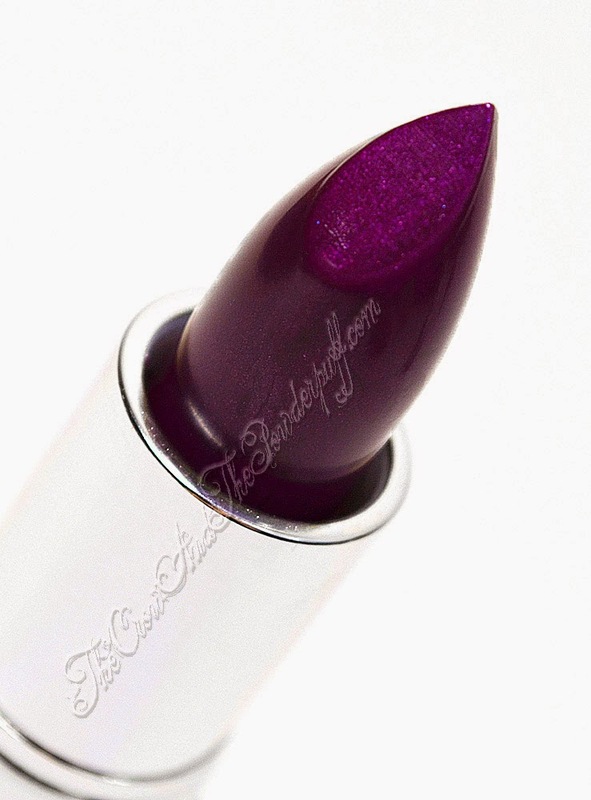 This shade combines lipstick and lipstain for prolonged wear. The Packaging: Round shaped lipstick tube twist up. My Final Thoughts: This lipstick seemed to have a different texture than Serpentina did, it applied more patchy on me and seemed a tiny bit more drying. The color was pretty but it just didn't work for me, I tend to have very dry skin and lips as is even after using a lip balm. That being said it might work on you if you don't already have dry lips. It is noted as being a combination of a lipstick and a stain so it's possible that is why it's more drying as well. This one did have the same pleasant scent though as Serpentina and I do really love that about Lime Crime lipsticks, I wish that Poisonberry had the same consistency as Serpentina though. 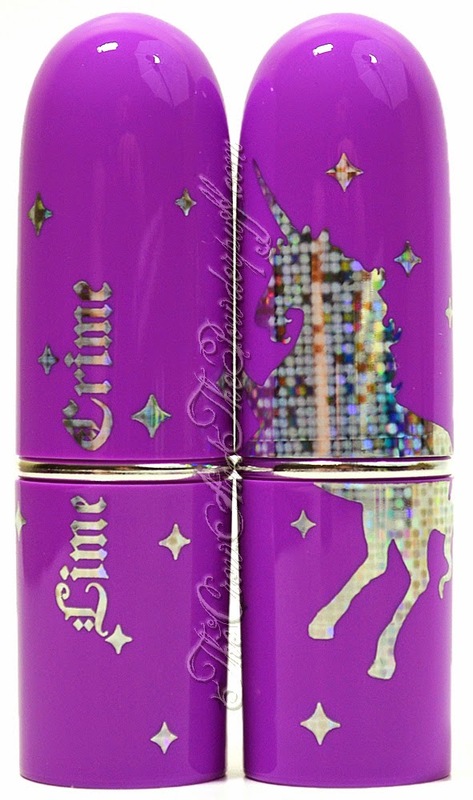 I do love the packaging as always but then again I love unicorns so I'm biased on it, I know some people think it looks too kiddish but my personality is fun and young no matter how old I get so I love it. Would I purchase again? Probably not. For me it was just not working on my lips, I tend to have dry lips even after using a lip balm before hand. That being said what didn't work on me may still work for you, so it's up to you if you want to give this one a try. I still really love Serpentina and that formula worked amazing on me so it would be awesome if Lime Crime found a way to make the lipstick formulas consistent. Do you own Poisonberry? What are you thoughts? I really love the packaging, but I don't like lipstains so much.